Johan Reinhard made “the discovery of a lifetime” when he unearthed a frozen mummy in 1995 in the Peruvian mountains. The book by the National Geographic Society, Discovering the Inca Ice Maiden, describes the “find” as “an amazing adventure” as scientists “embark on a perilous race against the sun” to carry the body down the mountain. Chatters made a mould of the skeleton and presented his skull to members of the press until scientists sued the federal government for the right to study the 9,300 year-old bones. Then the bones were sequestered until scientists won the lawsuit. 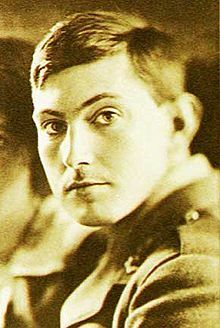 When mountain climbers found the frozen body of George Mallory, who disappeared on an Everest climb in 1924, they snipped samples of his clothing, cut some tissue from Mallory’s arm for a DNA sample, and took the belongings from his pockets: a hanky, letters, altimeter, and a few other items. The Ice Maiden was stored in a glass case, reminiscent of the Snow White story, and taken on a worldwide tour where her body could be viewed. Juanita is now on display at the Museo Santuarios de Altura in Arequipa, Peru, despite requests from villagers near what is considered her hometown to return her, according to the website Mummytombs. Last reported, Kennewick Man remains at the Burke Museum in Seattle, where his remains are studied by scientists, despite requests from tribes in the Pacific Northwest for his return. And Mallory? In spring 1999 the search team that ascended Everest took samples from the body, and buried Mallory, covering him with rocks. The climbers conducted a funeral service and then left the site. Interesting to see how scientists treat the dead. This entry was posted in authenticity, ethics, Kennewick Man, repatriation and tagged Kennewick Man, science. Bookmark the permalink.